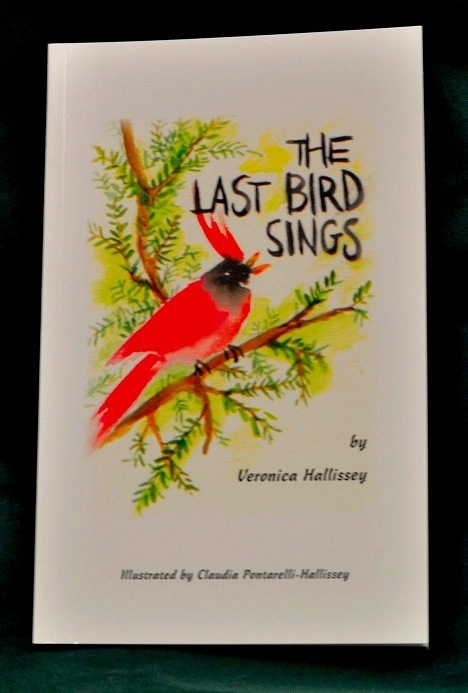 I am so pleased to have this opportunity to introduce Veronica Hallisey as our guest artist for the month of June and someone will be lucky enough to win her book, The Last Bird Sings, by going to her website, From an Upper Floor and leaving a comment for her any time between Monday, June 3rd and Wednesday, June 5th. The winner will be drawn on Thursday, June 6th. 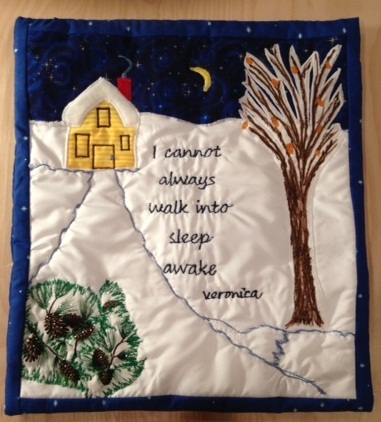 I have just become acquainted with her work myself, and hope that my readers will be as delighted as I was to visit her site, learn about Veronica, read some of her essays and poetry and see her beautiful quilted wall hangings. I am sure that you will agree with me that her writing style is captivating! She is one of those rare authors that you anxiously wait to read what she writes next. She reaches out to her readers as she if she knows us each personally. Her gentle and loving spirit will connect with you instantly and leave you with the feeling that she is a kindred spirit you have known all your life. Go to her website and treat yourself to some "samplings" of her work. I think you will be refreshed and elevated by this beautiful and sensitive artist. I only wish that I could participate in the Common Thread Give-Away drawing but I will content myself instead with reading all that is on her site and add her books to the top of my reading wish list. Likely you will add her books to your wish list as well, or perhaps even choose to decorate your home with one of her lovely quilted wall hangings. They would bring the warmth of her words right into your home? I'll be anxious to hear who is lucky enough to win her book!